Overnight work from home jobs are more common than you may think. There are a number of companies that offer around-the-clock support to their customers. And 24/7 customer service means plenty of opportunity for remote job seekers to take on a non-traditional work schedule. Plus, the traditional nine-to-five job isn’t necessarily the standard anymore. With more and more people freelancing, it’s not uncommon to see someone piece together a living with two, three, four, or more gigs going on at a time. So, whether you’re looking to supplement your income or are simply a night owl by nature, check out these late night and overnight work from home jobs. If you are looking for a part-time job that allows you to work flexible hours, work from home from anywhere in North America, the Contact Center Work From Home Program might just be what you are looking for. Available hours can start as early as 4:00 a.m. and go as late as midnight depending on the position (the Roadside Assistance job has the latest hours). Apple provides 24/7/365 support to their Mac, iPhone, and iPad users. To help with this round-the-clock coverage, they often have opportunities for At Home Advisors (AHA). The AHA position is part tech support and part customer service rep — it all depends on the nature of the customer inquiry. Sometimes Apple hires specifically for chat agents and other times they need individuals who can provide phone coverage. This is a work from home position and we can consider candidates from cities across the US – you do not need to live in the city this is posted in to be considered. As an Apple At Home Advisor, you’ll be supporting many of our popular products, from iPhones to iPads to MacBooks to desktop Macs. Browse through their hiring page to see a full list of all Apple late night and overnight work from home jobs. available at any time. All AHA positions are employee-based which means great benefits and very competitive pay. Fancy Hands is a crowdsourced virtual assistant company. They have clients all over the world sending in tasks from, you guessed it, all hours of the day! This means you can login at 3:00 a.m. and find tasks waiting to be claimed. Since Fancy Hands works on a first-come-first-serve basis, you’ll never know what jobs you’ll come across. You can define your own hours. Ideally, I want people around 24 hours a day, so if you’ve got time at 4am, great! If you want to work 9-5, perfect! I worked for Fancy Hands for about six months. Being able to work whenever was definitely a huge draw for me at the time. You are paid $2 to $7 on average for each task you complete. While that may not sound like a lot, it works out to a pretty decent hourly rate since one task shouldn’t take more than 20 minutes. Payments are made every two weeks through Dwolla. Search engine evaluation offers many overnight work from home jobs! As a search engine evaluator you help improve search engines, like Google and Bing, by rating the relevancy of search results compared to a search term. For example, if someone Googles “Apple Products” they probably want a list of products manufactured by Apple and not a list of products that are made from apples we eat. You will be judging a lot of search terms, like this, using your knowledge of current events and pop culture. There are several well-known and reputable companies that frequently hire search engine evaluators. Most of the time these positions are super flexible and let you work whenever you can (as long as you hit a certain number of hours a week). iSoftstone, Appen, Leapforce, and Lionbridge are all great options when you want the flexibility to work from home overnight (or whenever you want!). If you are passionate about providing superior service to small business customers, driving results and working for a world-class global brand, then the American Express Home Based Servicing (HBS) Customer Care Professional position may be an ideal fit for you. Join a global brand recognized as a Top 100 Remote Work Company (FlexJobs) and an 8x Customer Service Award Winner (JD Powers). As a Virtual Customer Care Rep, you can work as late as 1:00 a.m., any day of the week. This opportunity is available to candidates in almost all states (excluding California, Alaska, and Hawaii). There are a lot of companies that hire transcriptionists to work remotely. Often, these opportunities are flexible enough to allow you to work whenever you want as long as you don’t miss any deadlines. 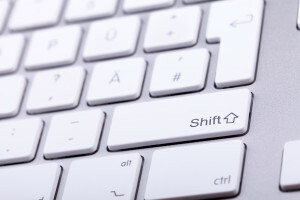 If you think you need a ton of experience to be a transcriptionist — think again! Many people get started in the industry with absolutely zero experience. In fact, there are a number of companies open to contracting with complete beginners. For those interested in making a career out of transcribing, I suggest visiting Transcribe Anywhere for advice. They have plenty of helpful information including a free mini ecourse that lets you explore a career in transcription (before getting started!). Work flexible hours. Work as much or as little as you want, whenever you want. Choose freely. Choose which projects you want to work on. We have a wide variety available. 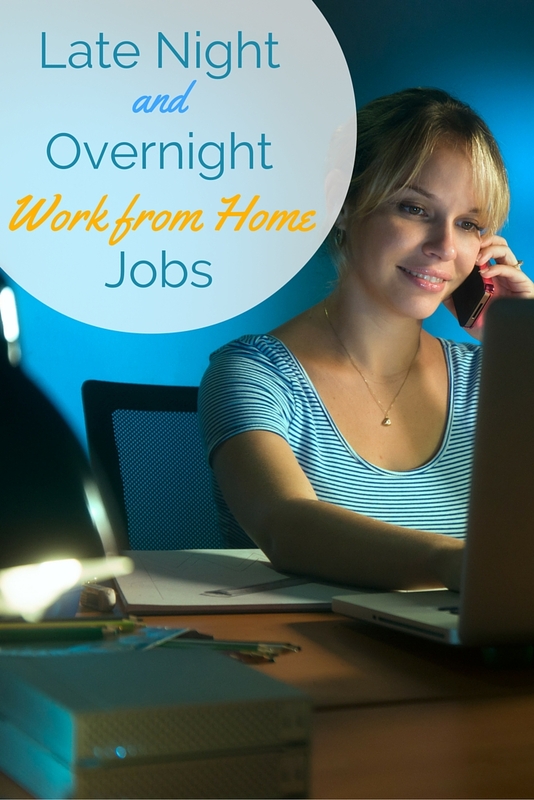 If you’re looking for overnight work from home jobs, Rev may be a good place to start! You will have to caption three practice videos before being offered a paid contract. Once you get going, there is almost always work available. In fact, you can earn as much as $1500 captioning videos whenever and wherever you’d like. An estimated 1 in 3 people now freelances (and enjoys the freedom and flexibility that goes along with it!) If you’re looking for overnight work from home jobs, you have limitless opportunities when it comes to freelancing. One of the easiest ways to get started is by joining Upwork. When you take the time to set up your profile and send thoughtful proposals to clients, you can start landing gigs in a matter of days. Other people have had amazing success on Fiverr by delivering quality work at competitive prices. You can also go solo and find your own freelance clients. This method can take a little time before you start seeing any work but you have complete freedom over your career (including the days and times you work!). There is a valuable course on Udemy called Freelancing: Business Strategy, Sales, and Contracting that will show you how to find your perfect freelance service, source clients, and be successful. If you really want to establish yourself as a freelancer, that course is a great place to start. Remember, overnight work from home jobs may offer the flexibility you need — but shift working can be challenging. To set yourself up for night working success, check out Your Night Shift Guide for tons of strategies and practical advice that can help you make it through the day when you work at night! I have experience in medical transcription and very little general transcription, but would like to learn legal transcription. Most legal transcription jobs out there require experience. Where can I get experience without have to pay for it? hey my name is Penghak Nge I really like this job , because this job help save everything .For example to save gas and time also I can spend more time with my family and I can work at home don’t worry about who take care my kid. Interesting I agree with this idea. Hi i’m interested in this Kindly contact. I am very interested in online Data Entry as well as becoming a proofreader. Also open to any entry level online jobs. This is AMAZing how you compiled all of this! Seriously, THANK YOU! I had a pretty decent work-from-home CS job and lost it when the company closed. Your article is well researched and practical. Many thanks once again!